NewLoveTimes is an online web magazine run by a fellow ISB alum Chaitanya Ramalingegowda. He heard about Drawn Together- Comics, Diversity and stereotypes from the ISB network and was gracious enough to interview me. Here is the full interview that first appeared on NewLoveTimes. Meet Harleen Kaur, Who Is Taking On Stereotyping Like A Superhero! You are being stereotyped every single day. And let me break the suspense. You are stereotyping others too. Every. Single. Day. Surprised? We all build our own sets of beliefs and notions based on our experiences. There are some, which are based on our individual experiences since the time we are born. And then there are some, which develop collectively as we experience life in a society. Just try this – Picture in your mind, in sequence, a black man, a blonde woman, a Sikh, a Tamilian, a pregnant woman, a government official. Didn’t preconceived ideas on their attire, their behavior, their body shapes, their food habits – all come unbidden into your mind? These assumptions come into play irrespective of whether someone is looked at through the lens of race, gender, religion, profession, or simply a stage of life. What started as the human mind’s intrinsic way of slotting people in order to ease our understanding of our surroundings has evolved into being this humongous barrier all around us. Here’s an indie film that hopes to shatter these stereotypes and let us look at life with innocent eyes once again. We caught up with the creative force behind the making of the film, Drawn Together- Comics, Diversity and stereotypes, Harleen Kaur. This MBA & business professional and mother of two kids (one is 2 years old and the other is just 2 months old) in her early 30s, is defying every single stereotypical image that popped into your mind when you read this sentence. She herself has experienced ethnic and gender stereotyping as an Indian woman living in the US. She’s had people refusing to join her crew for her first film for, well, being pregnant with her first child at that time! She feels that the only way to deal with it personally is to have a solid belief system as a guide and do our bit to start the conversation at the societal level. She is out to raise $65,000 for her Kickstarter campaign, of which about $14,000 has been raised. It is an ambitious film set to be shot in 6 cities across 3 countries. How widely this story reaches is quite simply in your hands, dear readers. We believe it is a story worth being told and told very well. I grew up across India as my father served in the Indian army, from which he retired as a Brigadier in the Infantry division. We moved often, and I ended up studying in about 10-12 schools during my formative years. Imagine this – my father is a Sikh, but he led the Madras regiment – to the uninitiated, the cultural difference is as stark as night and day. Simply by being part of this life, we were exposed to people from all strata of society, different religions, and cultures in our childhood. Discipline, adjusting to your environment, making conversations with strangers, everything becomes second nature. For example, living in the small town of Damdim, our school was 60 kilometers away. There was no room for “No, I can’t go to this school,” because that was the only one close to where we lived. That was the school, and one simply went there without complaining. Towards the end of my school years, my father got posted at Delhi where I graduated with a degree in Economics (Hons) from Jesus & Mary College in Delhi University. What happened after the studies? How did your career get its start? After graduation, I worked with National Geographic Channel’s History Channel. My experience and interest in media originated from there. A few years later when I went to the Indian School of Business in Hyderabad, I leveraged my experience in the domain and was the founding president of the ISB Media Club. The diverse experiences during the management program were challenging and kept things interesting. At the end of the program, I joined Colgate Palmolive as Associate Brand Manager in New York where I managed brands in the US and Latin America. Also, living in New York, you get to be a part of this very diverse melting pot which is a tremendously enriching experience professionally and personally. From there, I moved to Bolthouse Farms (now bought over by Campbell Soups) in Bakersfield, where I helped establish their marketing division. These two jobs gave me a perspective from two opposite ends of the spectrum – working for a large, well-recognized firm and living in a metro like NYC, and then working out of a trailer for a small, niche brand and living in the countryside. How did filmmaking happen in the midst of such a growing career in Marketing? My first film was “The Odd Couple,” a moving tale of two triathletes, each with their own difficulties and how they inspired each other to never give up on their dreams. 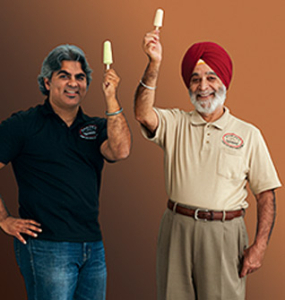 One is a below-the-knee amputee, while the other is a Sikh. I did not have many expectations from the film and was pleasantly surprised when it made it to various film festivals in the US and Australia and received much love. 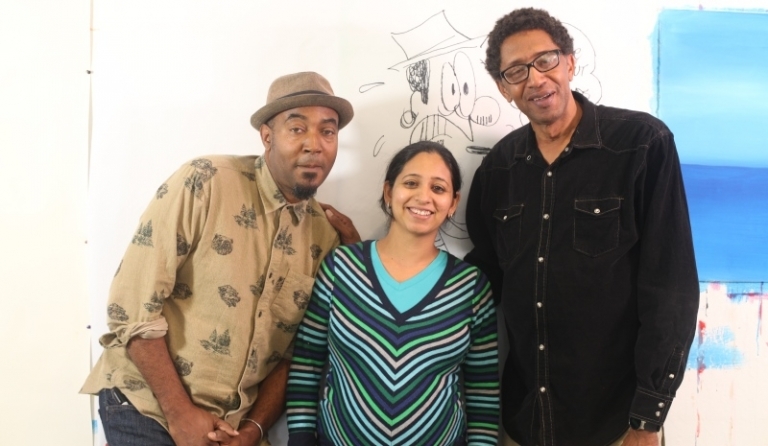 Tell us about Drawn Together- Comics, Diversity and stereotypes, your next planned movie. After the first film, I wanted to do something different. While we know that there is a lot of stereotyping happening around us, the challenge was to find the right tone to get more people to accept and digest the ideas. Lecturing on such a serious topic is most definitely not the best way to reach out to a larger audience. Secondly, media consumption has changed a lot in the past few years, and we need to creatively adapt to these changes. Think about this – as a child, did anyone teach you how to read your favorite superhero comics? No. You just picked one up and immersed yourself in that world. Comics and superheroes have a universal appeal. They cut across age, gender, cultural dimensions and have a similar interpretation of values by almost all readers. But, are there superheroes who are multicultural? How many female protagonists are in the mainstream superhero universe? Why aren’t there many African American superheroes? 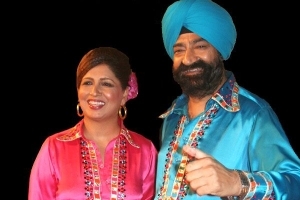 Or Sikhs? So that had me thinking – what if, these same thoughts could be conveyed in a humorous manner to have its own universal appeal, wouldn’t that really stir the conversation on stereotyping? That was the genesis of the idea. Tell us about the three protagonists in the movie? Keith Knight – He has been drawing cartoons for more than 20 years. He was chosen as the NAACP History Maker of 2015. His work also often deals with political and social issues. He’s also one of the funniest and most highly regarded cartoonists in America, and the creator of three popular comic strips: the Knight Life, (t)hink, and the K Chronicles. Eileen Alden – It is interesting because conventional wisdom says that a white woman would NOT be stereotyped. But it did happen to Eileen when she was living in Asia when she set up an independent record label. Yet, she embodies an amazing spirit that is always pushing the boundaries. 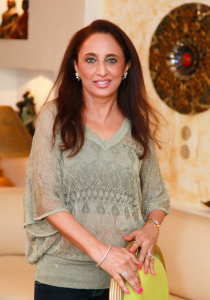 She has directed films, been in a rock band right after having her first child while juggling a career in the male-dominated financial services sector. Now, she is creating an action-packed comic book while most people assume a woman superhero creator would probably choose a more emotional storyline. 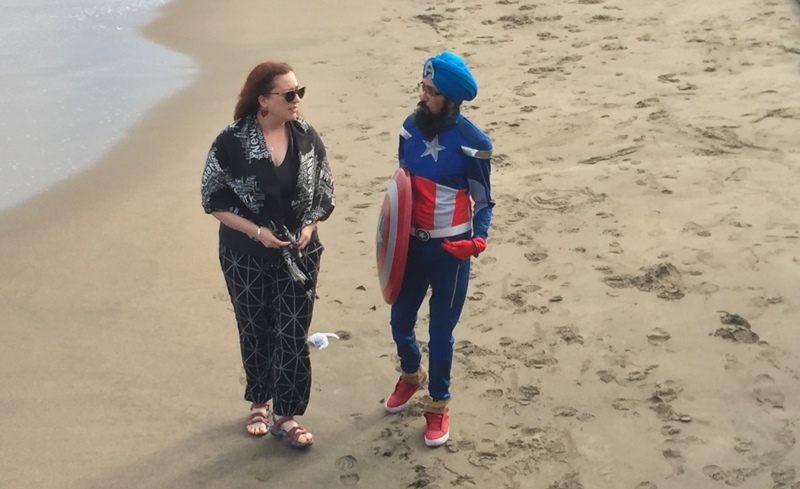 Vishavjit Singh – He is an editorial cartoonist based in NY and more popularly known as the Sikh Captain America for his costume role playing. Vish is pushing the limits of how a much-adored comic book superhero should look. In his own creative way, he challenges the appearance of Captain America – an iconic superhero. This encourages people to think – is the idea of Captain America a person who wears the costume? Or is it someone who embodies a set of noble values and stands up for them? On screen, you will also see experts who bring a neutral perspective to the storyline and talk about why this issue is so important now. While the story may be set in the US, we see similar issues in India and other parts of the world. Andrew Farago is the curator of the Cartoon Art Museum who talks about why comics are important and brings to bear his authority in the field. Prof. Arvind Singhal has been researching entertainment education for 30 years. He talks about how media can be a creative force and educate while entertaining. Adam Elrashidi is a producer at Al Jazeera network and brings in the perspective on how media can help in creating as well as shattering stereotypes. All these protagonists shake and stir the conversation about stereotypes. Why did you put it on Kickstarter? Kickstarter is a great platform to raise funds for creative projects. At the same time, it starts the conversation early in the creative process. So we can listen to the conversation the audience is having and include these perspectives. Without a crowdfunding platform, these inputs would be lost. When the community feels empowered, change is inevitable. I’d encourage everyone to go to the Kickstarter campaign and contribute to the making of Drawn Together- Comics, Diversity and stereotypes, not only financially, but also with their thoughts and ideas.